and birmingham are going down. new Darren Bent chant to get the Holte going! He’s gonna score very soon! Cheer up ryan taylor ! oh what could it be ?? with a s**t football team. Birmingham wished they had you John Carew Carew. in the air to Tony Cascarinooooo!! he even makes zigic need the loo. cus he is john carew. 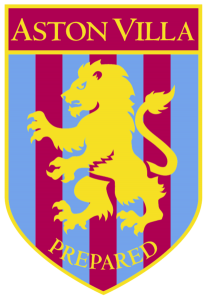 doo doo dooo dooo Villa. heskey,heskey try not to fall. and I Bet Two of the Players Are Gay ..
My old man said be a city fan. i said b*****ks youre a c**t, youre a c**t.
we are the boys and we’re gonna f*****g show it. we’ve got the best team in the land! Singing Aye, Aye Ashley, Ashley Young! Aye, Aye Ashley, Ashley Young. Posted on January 19th, 2012. Node. The best football chants and songs for your Fifa 14 and Pro Evolution games on Playstation and xBox. FanChants FIFA 2014 football songs and PES 2014 soccer chants compatible with xBox and Playstation consoles.